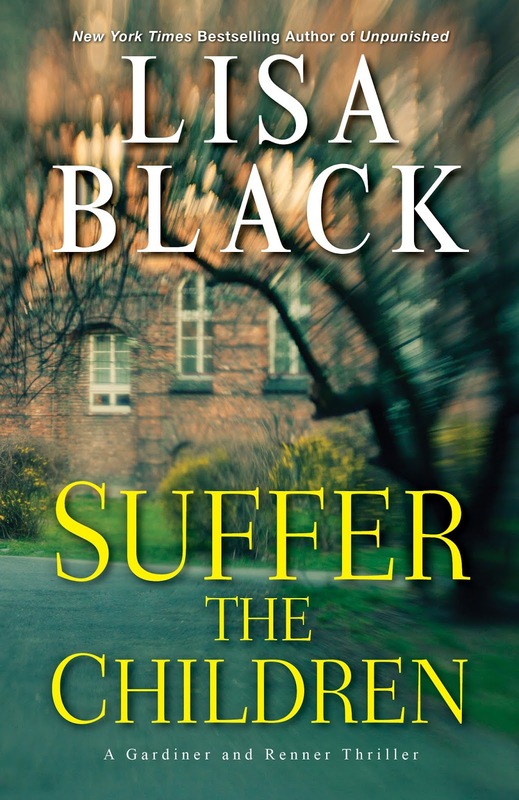 LISA BLACK: In my recent release, Suffer the Children, my protagonists investigate a series of deaths at a juvenile detention facility for violent or traumatized children. As I don’t have children of my own this particular book required a great deal of research, all of which fascinated me. Fast forward to 1999 and the one that forever remains as horrific as it is confusing: Littleton, Colorado, where Eric Harris and Dylan Klebold killed thirteen and wounded twenty-one. Then, as now, we have one question: why? And then, as now, not even the hint of an answer presents itself. Eric Harris was the son of an Air Force transport pilot. Dylan Klebold’s father was a geophysicist. Each kid had a stay-at-home mom and a brother with whom they got along fine. They lived in nice neighborhoods in quite comfortable homes. These were teenage boys and yet had nothing but good things to say about their families, even in private to each other (in their ‘basement tapes’ and diaries). Obviously the source of their angst was not a miserable home life. At school, they got good grades. Teachers liked them. They were bullied by the jocks the way nerdy kids are always bullied by the jocks, but apparently it didn’t rise above the standard hallway shoving and derisive comments—nothing like the suicide-inducing, pervasive social media campaigns waged by kids today. And Eric and Dylan had other nerdy kids as friends who understood, friends they hung out with, made amateur movies with, went to the prom with. 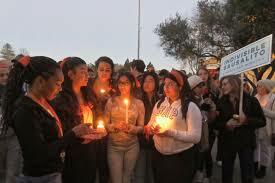 They had a general list of people at school who, on the day of the shooting, they did not want to harm. They were not isolated. Basically these were kids who didn’t have a single damn thing to complain about. But in private, that’s all they did. In private, the world was a horrible place, determined to crush them under its asinine rule. They had one relatively minor run-in with the police, and impressed the officers so much that their probation was cut short. Their written apologies were sincerely eloquent, and complete lies. In private, they weren’t remotely sorry. So while we might criticize parents who provided a son in (temporary) court-ordered anger management classes and already on antidepressants with a supply of firearms, we can perhaps believe that they were simply fooled by him in the way that the teachers, the cops, the therapists were. Eric and Dylan fooled everyone. They were very good at it. So, why? I have no idea. But I think if they had never met each other then maybe, maybe, they would have gotten through life without actually killing anyone. Their personalities entwined in all the wrong ways and encouraged all the worst parts of each, until they spiraled into a well of violence from which no one could escape. In the nearly 20 years since this tragedy, do you think schoolkids are better prepared to stay safe in the event of a school shooting? 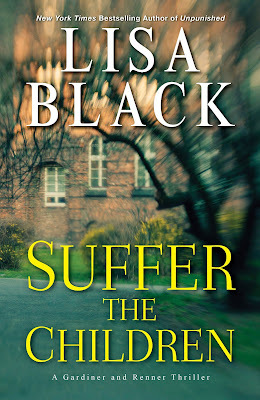 About Suffer the Children: Maggie Gardiner, forensics expert for the Cleveland police department, and Jack Renner, a homicide detective with a killer secret, return in bestselling author Lisa Black’s new thriller as they confront the darkest threat yet to their careers—and their lives. Congratulations on your newest book, Lisa . . . I’m looking forward to reading it. I worry that our responses to the horror of school shootings don’t necessarily mean that children are any safer in school; we think we’ve done everything to make them safe, and we become complacent. It’s all so terribly frightening . . . . I don’t think it’s possible for anyone to ever be 100% safe, any more than we’re 100% safe in airports or movie theaters, but some things that figured into the high body count in, say, Columbine, can try to be improved. That’s the best we can do. Your book sounds great, Lisa. Unfortunately, I don't believe students these days are any better equipped to stay safe during a shooting than they were twenty years ago. What has really changed in twenty years? Schools have the active shooter drills and it might be slightly harder to get on the property, but I don't think those things will deter someone determined. Yesterday I visited a local suburban Cincinnati high school to conduct a scholarship interview. All exterior doors were locked. I rang the doorbell and was scrutinized before the door clicked open. The lobby desk was in the open. I flashed my ID, signed in, and was escorted to the counselor's suite and handed over to the staff receptionist. At the end of the interview, I signed out and the lobby staff watched me leave the building. The new normal. At another high school, same drill with the addition of a metal detector and bullet proof glass encasing the office. And menacing male members of the staff patrolling the hallways at 50 foot intervals. I'm not sure kids are safer and I don't know what to do about it. I read an article that said part of the problem now is that every shooter/killer wants to "one up" the last guy, so the events keep getting bigger and crazier. How do you stop that? I have a hard time even thinking about these questions. My granddaughter had lockdown practice in Pre-K. It brought back my memories of elementary school in California we had fire drills (line up and march out), earthquake drills (get under your desk), and bomb attack drills (get away from the windows - sit against the wall in the hall.) I hope it's ok to put in a plug for an organization that helps troubled kids: the RFK Children's Action Corps. Lisa, congratulations on the latest and kudos for tackling the topic. The research phase of the book couldn't have been easy on you. As to the issue of school shooters... sadly until everyone agrees that it is real, and each of us, as members of our society, has a responsibility to keep the children safe, I think all we're left with is "lockdown practice". Hallie, I notice that the drills of your childhood were in case of unpreventable natural disasters (fire, earthquake) and the fear of a potential disaster (The Bomb). Now the drills are in defense of some wildly unpredictable, very real threat to the most vulnerable members of our society. Exactly, that makes it so much more difficult. The best thing to do to stay safe depends on where you are, where you can get to, and what the shooter is doing—which may be more or less difficult to estimate. So there is no one right strategy. We did a story about this, in fact, about the controversy over exactly what to do. There’s a big school of thought that says hiding is not the correct response, but running is— faced with a shooter, people should run away. There’s also the barricade yourself in the room, and throw anything you possibly can at the person. Wonder if the beginning of the solution is not what to do if you were inside, but to figure out what the problem is on the outside. And, Lisa, what a joy to see you here! And what a very tough subject you are dealing with… What’s been the reaction to that? Thanks! A few reviewers said the subject matter was a little tough, which surprised me because I don’t go into great detail about child abuse. The first victim was terribly abused but I give only the very basics on it; the second victim was criminally neglected but not physically hurt; two other children in the book were not abused in any way. I tried to present different backgrounds for the characters. We also did active shooter training at work, and it was an eye-opener. A major factor in the Columbine library was that the poor substitute teacher had never been to that school before and had no idea what the layout was, so they all stayed there instead of escaping out another door. So sometimes, especially if the shots sound far away, get out of the building and keep running—two, three blocks, not just the parking lot. Sometimes barricade the door, sometimes locking it and turning out the lights might be an option. What I will say is that bullying is still a misunderstood issue and too many adults brush if off as "kids being kids." It's interesting to me that so many of those that rightful say "it's just a guy thing" is not a legitimate excuse for sexual harassment will in fact stand by the "kids will be kids" defense regarding bullying. We need to take it seriously, because these actions affect different people differently. There is NO "ok" level of bullying! (My experience has been that most of the people who say bullying is expected have 1. never been bullied and/or 2. are bullies themselves and need to "justify" that). No, this doesn't justify any actions taken by of those who were bullied - we still have free will. But until we see bullying as a harmful act - "sticks and stones doesn't cut it anymore," this problem is not going away. As one who was constantly bullied growing up, I can't honestly say there were not days when I wished harm on those that would not leave me alone. Fortunately for me, other factors in my upbringing would have made it impossible for me to cause harm on another. well said Kristopher, thanks for sharing your thoughts. I was bullied for one year in high school, and since it was long ago and girls in a private school, it was very very mild—but still. I thank GOD I went to school before there was social media. There’s a good chance my life would have been a living hell if it had existed. Yes, Lisa. I too grew up long before social media, so I can only imagine it is so much worse for kids these days. This is why we are seeing such an increase in LGBTQ+ youth taking their own lives (fortunately most folks can't bring themselves to harm others). Welcome Lisa, and congratulations on the new book. I have six grandchildren, five of whom are in school, ranging from Caleb in kindergarten to Sarah in a PhD program. I fear for them all, particularly the youngest four who live in Texas. If my own children were young, I would homeschool them. I do not believe our schools are safe, none of them, not anywhere. If I had children I would seriously consider homeschooling them! But not for safety reasons, just to avoid all the societal influences. But then I don’t have children, so they scare me! If I really knew kids who are students now I probably wouldn’t find them so terrifying. Since all of the school shooters, so far, have been boys, I wonder if it is related in some way to the same kind of sexual bullying we are seeing played out on the national stage right now. The seamy underbelly of male hormonal spillage, when it's not handled properly, can either make boys or break them, in so many ways. Channeling their energies seems to make a big difference, judging by the histories of so many of these kids. It's not enough for the parents to be "there"; they also need to engage in a loving way, to guide their kids. Teenagers need more supervision than toddlers, in my opinion. On a personal note, I learned just a couple of years ago that a dear friend's son, a student at Columbine during the shooting, spent the event crammed into as low cabinet in the library while his fellow students were gunned down, feet away. I cannot imagine the trauma he felt, along with the trauma of his family. He has not had an easy life since then, either. 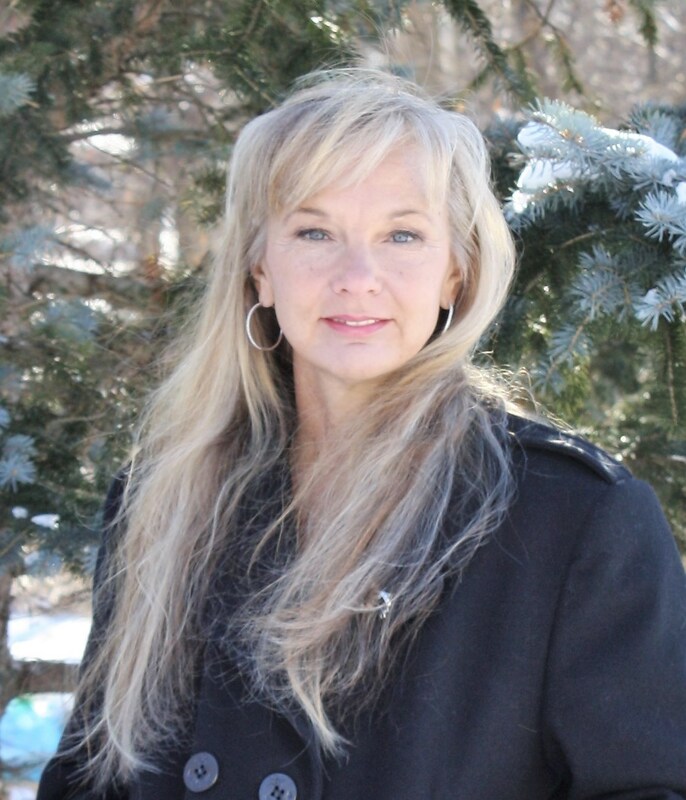 Welcome, Lisa! Was it difficult to write about such a tough subject? Did you have to work to pull your mind away from it at the end of a writing session or was it easy to transition? I imagine you read these books in your research, but I highly recommend "Columbine" by Dave Cullen and "A Mother's Reckoning: Living in the Aftermath of Tragedy" by Susan Klebold, Dylan Kleybold's mother. Neither provide a definitive answer, but they do offer insight and food for thought. It wasn’t so hard on me, because as I said, I don’t have children so it wasn’t such a personal subject to me. I’m so grateful for your feedback! BTW I’m vacationing at Lake Tahoe today so if my responses are a bit tardy, that’s why. Now that I’m an adult I’m so glad I have social media and a smartphone!!! Oh, I love Lake Tahoe! It must be beautiful right now with the coming of autumn! Enjoy! Great piece, Lisa, and I loved the book. I don't think schools are safe--I'm already worrying about my two and a half year old granddaughter having to go to public school. I certainly don't have a solution. Having more counselors might help identify some of these boys before they cause such damage, but in the Columbine case it sounds like that would not have helped. Terrifying. It seemed to me, in researching this book, that what is needed overall is more intervention—which is something we’ve always been loathe to do, and understandably so. The right to raise your kids as you see fit is so basic, we naturally hate to interfere with that. But what needs to happen is more of our organizations and agencies sticking their nose in, not less. But it has to be done as a way of supporting the family, supporting their situation, instead of ‘you’re too poor/a minority/uneducated/too rich/too un-mainstream’ to be a decent parent. It’s a difficult balance and there’s no easy answers, no one-size-fits-all fixes. I admire you for tackling what to me is an impossible subject - probably because I have teenagers in high school. I am counting the days until they both graduate, which is sad, isn't it? We've had many talks at the dinner table about what they would do if there was an active shooter on campus. The dinner that broke me was when they both looked at me and said, "We've talked about this with our friends. Because of the shape of our school, we're pretty sure we're going to die. There's really no way out. But we'll try to send you a text, telling you we love you." Honestly, we've failed these kids so much. We have an entire generation of kids who think like this. It devastates me. Oh dear God, Jenn--this is breaking my heart! I too couldn't wait for the boys to be out of high school, although I do realize these tragedies can happen any where, any place, at any time. I worry every time they leave the house. We are a wealthy nation--it seems to me that we should be able to find the resources that help us as parents, as teachers, as counselors, as mentors--help us protect our children, help us save the ones who might someday think they need a gun to go killing. Maybe it would comfort them to crunch some numbers—according to Google there will be 56 million children in elementary and secondary school this year. Last year there were about 42 killed in school shootings. That’s .00007 percent. Literally less likely than 1 in a million, right? This is such a timely topic! Bullying, social media, juvenile detention... Like others, I'm glad I didn't have to grow up with the forever of social media. I used to tell my kids as they navigated and got burnt from mistakes, if you wouldn't put it on a sign in your front yard, what makes you think posting it to the world is even better? Sadly, I don’t think kids are safer today from school shootings than they were a month ago, a year ago, ten years ago. And I also believe that the school systems have done everything within their power to protect kids. There are too many factors that they need to take into consideration, many of which are outside of their control. Those of us who went to school in the fifties and had bomb drills regularly can laugh at some of the things that were supposed to protect us. At least we never experienced a bomb attack. Today’s students will never be able to laugh at what they’re taught in active shooter drills, because they know all too well that there have been attacks all across the country. School shootings and the perpetrators of them seem to be an impossible problem to understand or put a definitive answer to. Each perpetrator brings his own angst and anger to, so the common denominator is difficult to pinpoint, even with the bullying factored in. How can we solve a problem that has so many different causes and personal agendas? How do we spot a potential killer? I agree that the bullying must be better addressed and is too often swept under the rug as normal kid activity. It infuriates me to think that anyone considers bullying normal under any circumstances. I do think that working on an environment in the schools where there is zero tolerance for bullying would be a giant step in the right direction, but will that end the violence in what now has become a regular response to the mental pain and suffering of an individual? I just don't know. Nobody does. Are school shootings now an ingrained part of our world that will not go away? As Sandy Hook so heartbreakingly demonstrated, not even the youngest of our children are exempt from this violence. I have a granddaughter who is a senior in high school and a granddaughter who is in third grade. I worry equally about both girls and pray that they are safe at their schools in a world where no one can any longer guarantee that. What a difficult topic. When I was in school back in the dark ages we had fire drills, tornado drills, and The Bomb drills. Well, it was the Cold War and we did have the Cuban missile crisis going on. Oddly enough, tornado drills and A-bomb drills are identical! I'm sure the looming threat of extinction by nuclear means affected us subtlely. The first shooter incident I recall was the infamous Tower shooting in Austin. That was one year before I was headed to that campus myself. We all considered it a freak occurrence by a mentally ill person. Nowadays? There seem to be a lot of troubled people out there. School buildings are secured pretty well against outsiders. I think students know what to do if they hear shots; there've been too many examples to learn by. I am really troubled by the issue of bullying. Why are the parents not taking action? And I mean the bullies' parents. 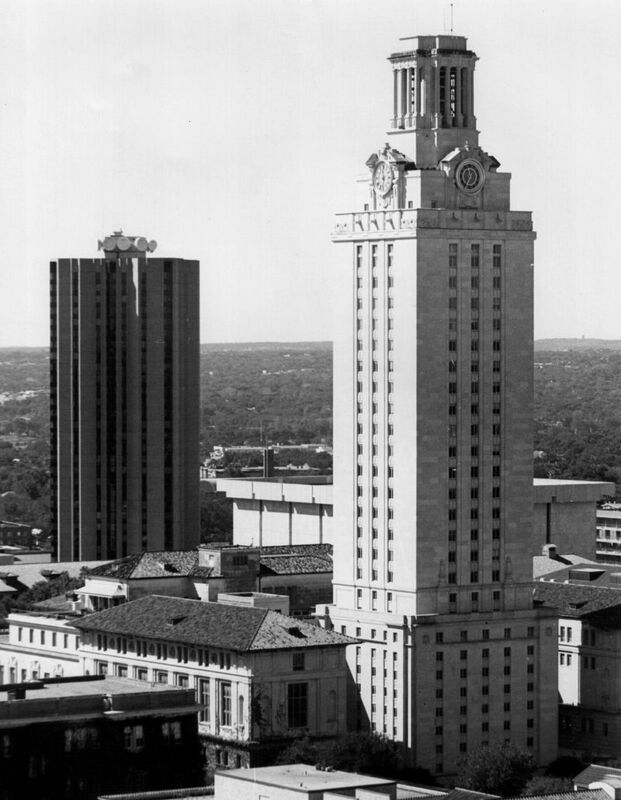 Didn't Charles Whitman have a brain tumor? I think he really was mentally ill. But of course that leads into another huge debate--defining mental illness. I'm really looking forward to reading the book, Lisa. Reading about the "Code Red" drills reminded me of a call I got from my daughter last year. She's an 8th grade middle school teacher in Grand Rapids, MI. They called a "Code Red" because of a shooter in the area (they should actually have called a "Code Yellow" because the shooter wasn't in the building). She had to lock the doors and get her kids to hide. It was clear to all that it wasn't a drill and she had several kids from Rwanda who suffered PTSD from seeing their families killed who she struggled to reassure while trying to make sure she stayed attentive to the needs of all the kids. Her comment that they should be training teachers in the methods of some other schools stayed with me. I don't know what the method was called, but essentially, they use cell phones to communicate the location of the shooter in the building and evacuate kids in the other quadrants. For instance, if the shooter is in the Northeast corner, they evacuate kids from the Southwest and move them to safety. It's not perfect, but it seems to make as much sense as sitting in place and hoping that the shooter doesn't breakdown the classroom door. The fact we have to think about this at all is incredible. As a Colorado resident, I had a friend whose son was in the lunchroom when Klebold and Harris started their rampage at Columbine. He escaped by running outside, jumping an electrical box alongside the stairs and staying down. He had one friend who died, another who was trapped with the teacher that died, and both of the shooters had been present at her house at a party thrown by her daughter in the previous year. That family has never fully recovered. It's hard to understand what causes these individuals to snap. Bullying certainly seems to be part of the picture, but we cannot use circumstances to excuse the behavior of the individuals perpetrating the violence. They must also be held accountable for how they choose to respond. That’s really interesting, and a great idea—keeping track of where the shooter is. Frankly active shooter training could benefit all of us, given workplace shootings and things like the Miami airport shooting. (MIA or Fort Lauderdale—can’t remember.) The hardest part is getting yourself over the shock that this is happening. The only thing I can think of is to erase the shame of talking about mental health problems. Get people to get treatment before things get violent. Also when I was still working we had to watch the Run, Hide, and Fight videos every year at the State. People who take out their problems on others are not just in schools but everywhere.